How has your term been so far? Are you getting tired of packing sandwiches in the lunchboxes and looking for some other ideas? Why not try these Vegetable Muffin Tin Frittatas? They are a great protein packed alternative to a sandwich in the lunchbox. They are absolutely loaded with vegetables. And because they are made in a muffin tin, they are the perfect size for lunchbox packing. Woo hoo! 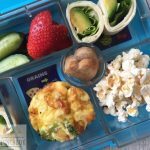 But not only are these great for the these Vegetable Muffin Tin Frittatas great for lunchboxes, they also make a great quick, easy and filling home lunch. These would be a great easy dinner on busy nights. And as they are easy to pick up and eat, they would also be fantastic to serve as finger food for baby led weaning if you are serving egg. 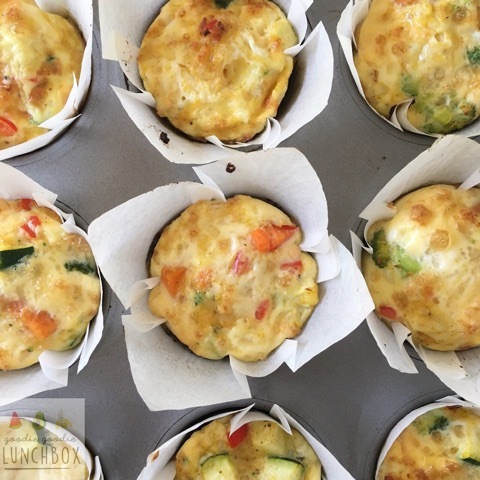 I made a batch of these Vegetable Muffin Tin Frittatas over the weekend as I wanted to freeze half for lunches, however we ate all but one of them in one sitting! 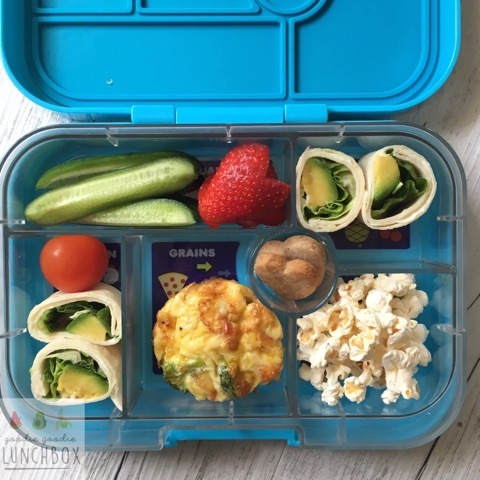 The other Vegetable Muffin Tin Frittata took a trip to school and back in Mr 6’s lunchbox. I have written before about Mr 6 and his reluctance to try new foods. For most of this summer he has refused to eat mango or strawberries. Until about two weeks ago. Just when the season is about to finish. He has now decided he enjoys these fruits. Great! So now I am trying to get them into him as much as I can. This just goes to show that repeated exposure, with no pressure, is effective in getting your picky eaters to try new foods. So knowing this I will continue to try Mr 6 on frittata, but I make sure that I serve this with foods I know he will eat and enjoy. And while Mr 6 may not want these Vegetable Muffin Tin Frittatas the rest of us will enjoy them! While Mr 6 didn’t try the Vegetable Muffin Tin Frittatas don’t let that discourage you from trying them with your kids. They are adaptable to what vegetables that you have at home. And how good is it getting some extra veg into the lunchbox?! It makes it so much easier to get your required 5+ a day when you eat your vegetables throughout the day. 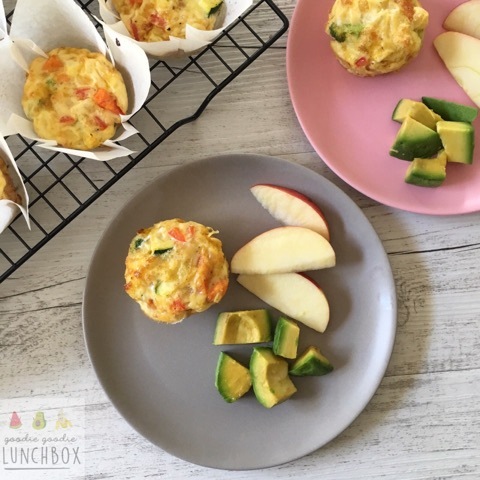 If you are looking for other lunchbox recipes featuring vegetables why not try this Zucchini Pea and Ricotta Slice or these Cheese and Vegetable Lunchbox Muffins or for a sweet recipe these dairy free Pumpkin and Coconut Muffins are delicious. The vegetables used are adaptable to what you have and what you enjoy. I hope that your kiddos enjoy these Vegetable Muffin Tin Frittatas. Remember if you make any of my recipes get social with me! Post your pics to my Facebook community or tag me @goodiegoodielunchbox on Instagram. Hi Bernadette, will these still.work.without the cheese or should I subscribe with something like creamed corn? We’re dairy free but would love to give them a go.